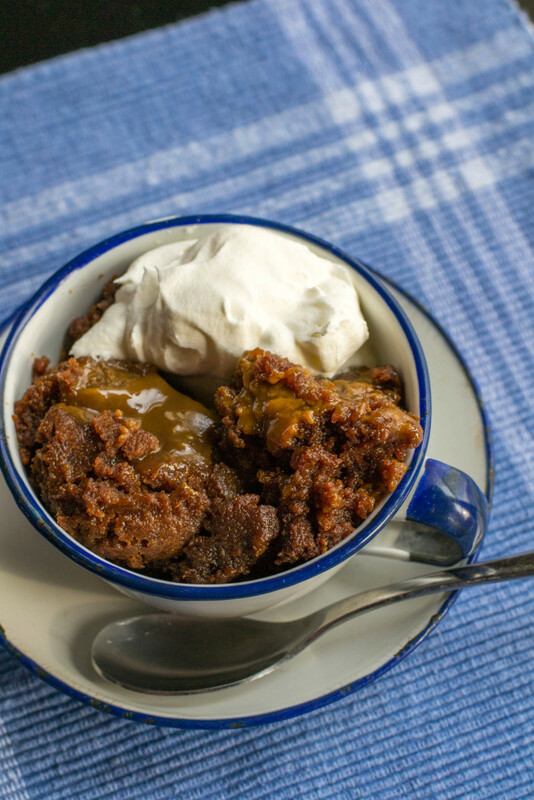 Caramel Pecan Crockpot Brownies - What the Forks for Dinner? 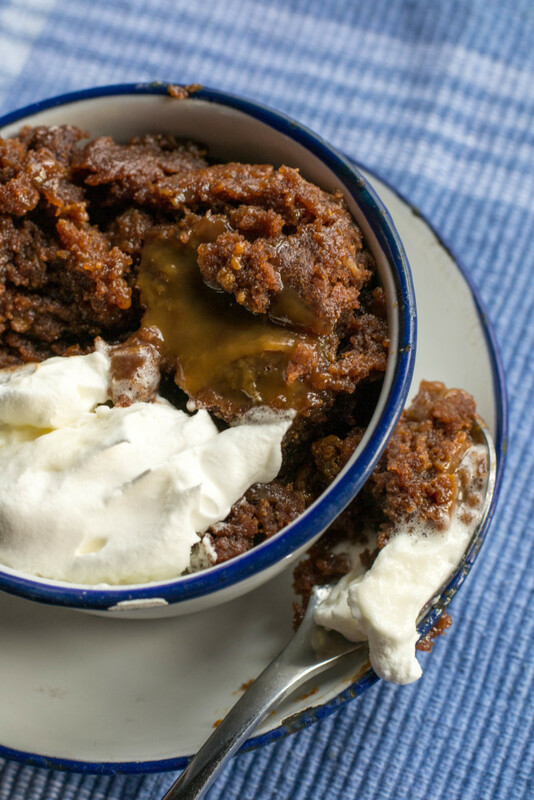 Winter still has a grip on us, so how about a warm gooey easy crock pot dessert? 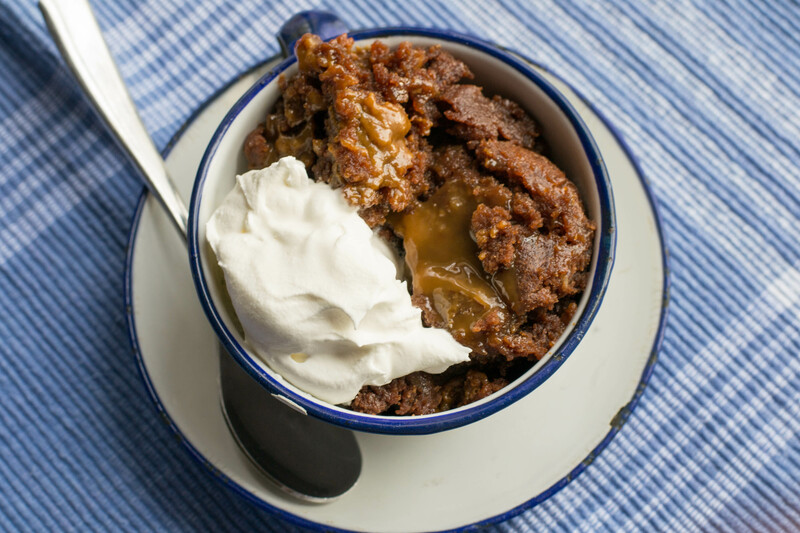 Caramel Pecan Crockpot Brownies! I have never “baked” anything in the crockpot before……who knew??? It really, really worked…….who-da thunk it??? These were easy to make, and even easier to bake…….you can leave them unattended, my kind of baking. I made my brownies from scratch, so they were a little more time consuming, but if you want to use a mix, I am sure it would work perfectly. So, brownie batter in a crockpot sprayed with non-stick spray…….spread it evenly. Now, this part I kinda cringed at ……..mix caramel sauce ( I used store bought ) with water and pour over the brownie batter. I know, soupy brownies were what I expected………but, no they turned out extra, super moist! 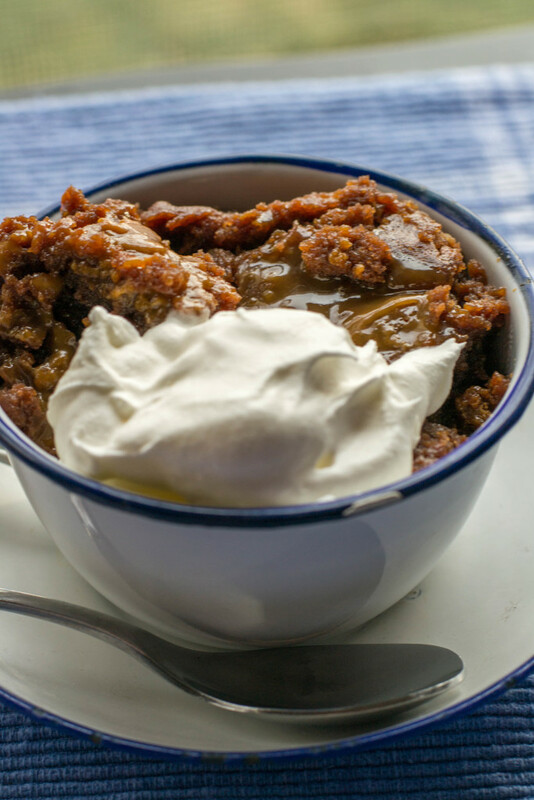 Cook on high for 2 1/2 – 3 hours and you have a delicious, warm, gooey dessert, that begs for ice cream or whipped topping. 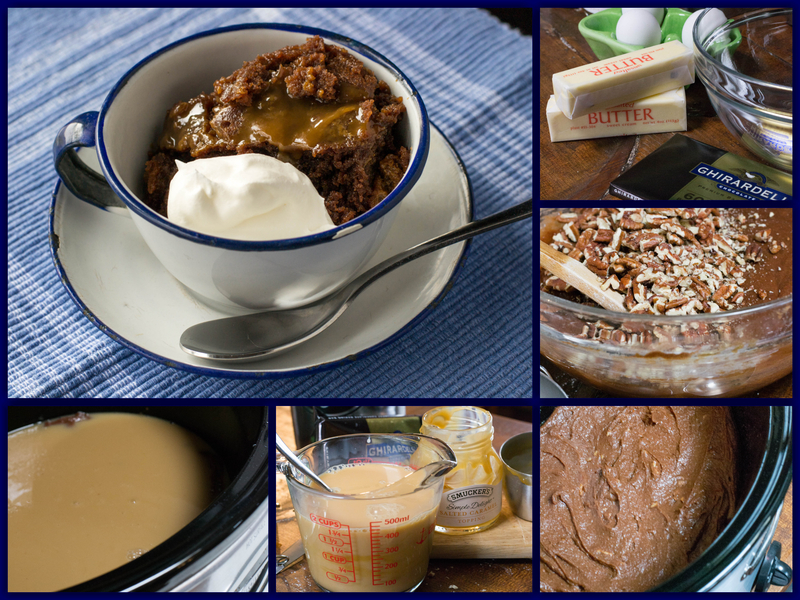 So, whip up a batch of Caramel Pecan Crockpot Brownies, you will get rave reviews!!! Spray your crock pot with non stick cooking spray. Microwave chocolate and butter in large microwaveable bowl on HIGH 2 min. or until butter is melted. Stir until chocolate is completely melted. Stir in sugar. Blend in eggs and vanilla. Add flour and nuts; mix well. Pour your brownie batter a crock pot, spread evenly.